Get ready for lots of good eats! 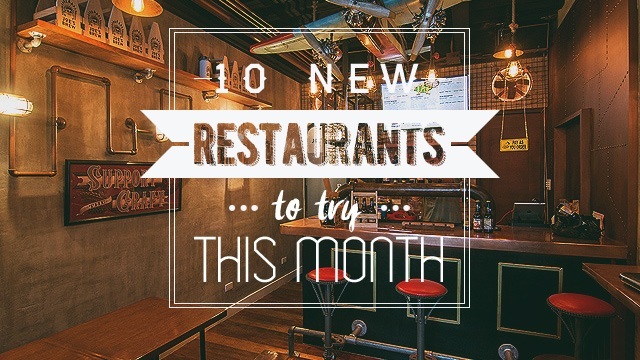 (SPOT.ph) We don't know about you, but for us, discounts and good eats are music to our ears. 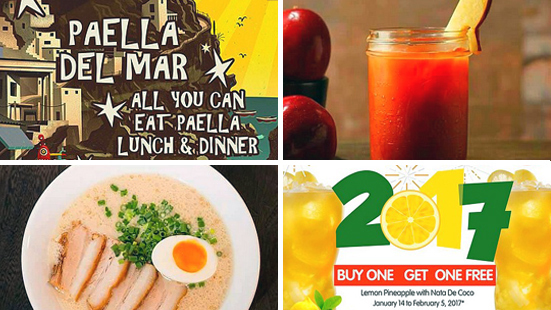 This week, we've got eat-all-you-can noodles, paella, and wings; two-for-one burgers and ribs; and a bunch of happy hours! Mondays just got better! 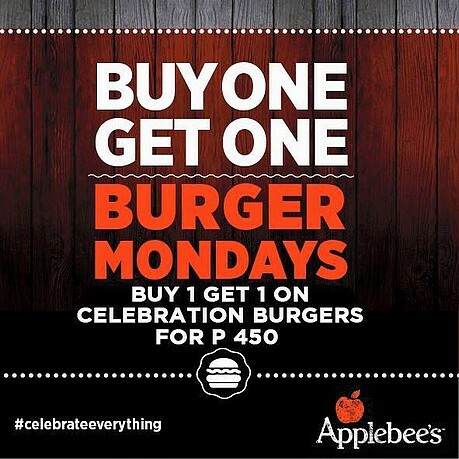 Start your week right with a buy-one-get-one promo at Applebee's on the Celebration Burger for just P450. Promo is available every Monday only. Applebee's is at G/F W Global Center, 9th Avenue, Bonifacio Global City and Cyber Mall, 10 Eastwood Avenue, Bagumbayan, Quezon City. For more information, log on to Applebee's Facebook page. Here's the perfect way to indulge! 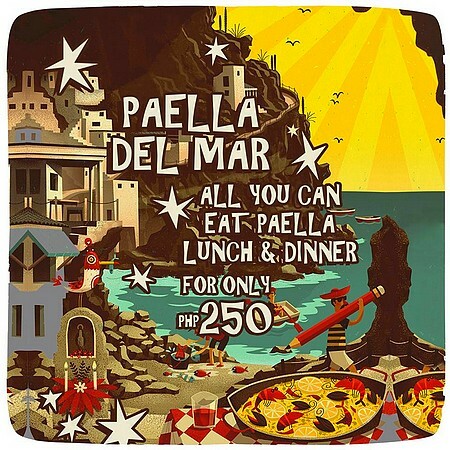 For P250, you can dig in and eat all the paella del mar that you can handle! This dish is a succulent paella mixed with fresh squid, shrimps, clams, mussels, chicken, and pork. It's prepared over fragrant rice with some tomatoes, saffron, and green peppers. The promo is is available from 12 p.m. to 3 p.m. for lunch and from 6 p.m. to 9 p.m. for dinner. Black Olive is at Unit R3A & B, Camino Verde Avenue, Capitol Commons, Pasig City. For more information, log on to Black Olive's Facebook page. 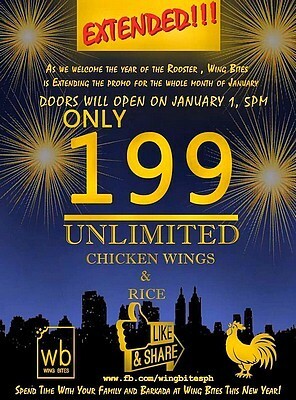 Usher in the Year of the Rooster with an unlimited serving of flavored chicken wings and rice at Wing Bites. Enjoy this promo for just P199! Make sure to spread the word! 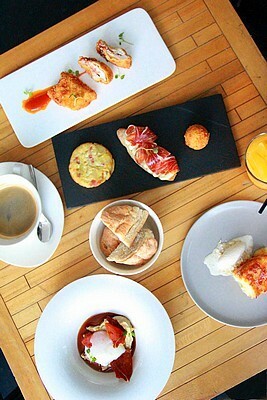 Due to popular demand, VASK is bringing back its Jamon and Eggs Brunch! This offer features six light and refreshing signature dishes made with everyone’s favorite morning ingredients: eggs and ham (or jamon). 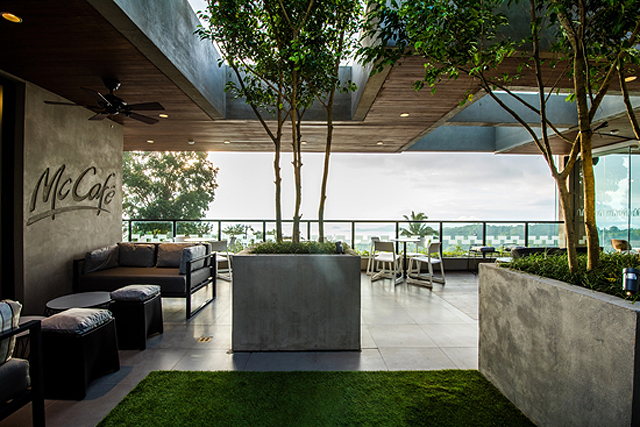 It's priced at P695+, available from 11:30 a.m. to 2:30 p.m. on weekends. VASK is at 5/F Clipp Center, 11th Avenue corner 39th Street, Bonifacio Global City. For more information, log on to VASK's Facebook page. Start the year right! Celebrate with the two-piece Southern style fried chicken for only P99! Promo is valid until January 31 only. See a list of S&R branches. For more information, log on to S&R's Facebook page. It's noodle time at Ramen Kuroda! Dine in and order any of your favorite ramen, chashumen, or a set meal to enjoy unlimited noodles. Promo is offered only at Ramen Kuroda's SM Manila branch until January 22. 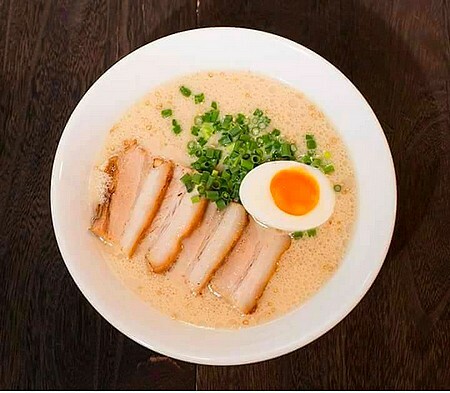 Ramen Kuroda is at 2/F SM Manila, Natividad Almeda-Lopez corner A. Villegas and San Marcelino Streets, Ermita, Manila. For more information, log on to Ramen Kuroda's Facebook page. Destress after work and head over to Nolita for happy hour! 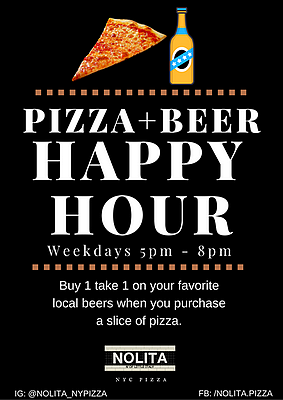 Enjoy a buy-one-take-one promo on local beer with every purchase of a pizza slice. Happy hour is from 5 p.m. to 8 p.m. on weekdays. Nolita is at 201 UG/F C2 Building, Bonifacio High Street Central, 7th Avenue, Bonifacio Global City. For more information, log on to Nolita's Facebook page. 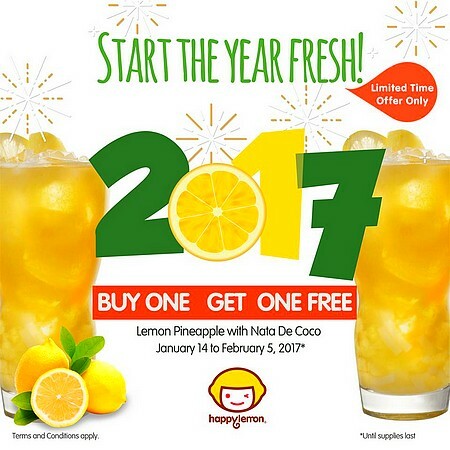 Start the year fresh with a Lemon Pineapple with Nata De Coco limited-edition drink from Happy Lemon. It's made even better by getting two for the price of one! This promo is offered until February 5 only. See a list of Happy Lemon branches. For more information, log on to Happy Lemon's Facebook page. 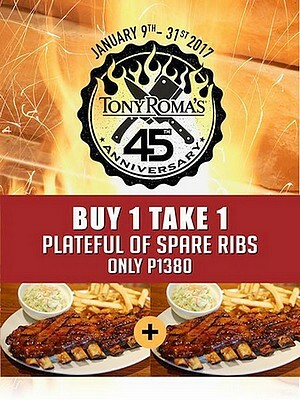 Join in celebrating the 45th anniversary of Tony Roma's with a two-for-one promo on a plateful of spare ribs! Be stuffed to the brim with this mouthwatering meal for P1,380. Each serving comes with coleslaw and a choice of rice or French fries. This promo is valid until January 31. See a list of Tony Roma's branches. For more information, log on to Tony Roma's Facebook page. Don't miss happy hour at The Butcher Shop and Pub! 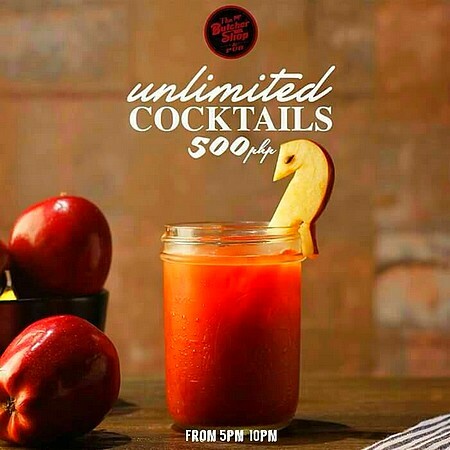 For P500, you can drink the night away with unlimited servings of 14 different cocktails. This promo is valid from 5 p.m. to 10 p.m. The Butcher Shop and Pub is at G/F Wumaco Building, 9th Avenue corner Lane P, Bonifacio Global City. For more information, log on to The Butcher Shop and Pub's Facebook page.